The markets are on the red this morning that is alse the International Labor day. Perhaps the traders have taken a day off or are lazing about in bed. Either way, Bitcoin has sunk below the dreaded $9,000 value and is trading at $8,957. This slight dip has affected the rest of the markets. Ethereum (ETH) is down 4.63% and is currently trading at $652. Ripple (XRP) is having a hard time staying above its current $0.80 value. The very bullish cryptocurrencies of Tron (TRX) and Neo (NEO) that had stunned us yesterday, are also showing negative gains in 24 hours. TRX is valued at $0.09 and Neo (NEO) at $79.93. But the general feel of the markets as we move down 2018 is one of high hopes and expected stunning market performances by the top coins. Ethereum has not escaped the critics and analysts who have gone ahead to forecast its doom or pending dominance over Bitcoin. 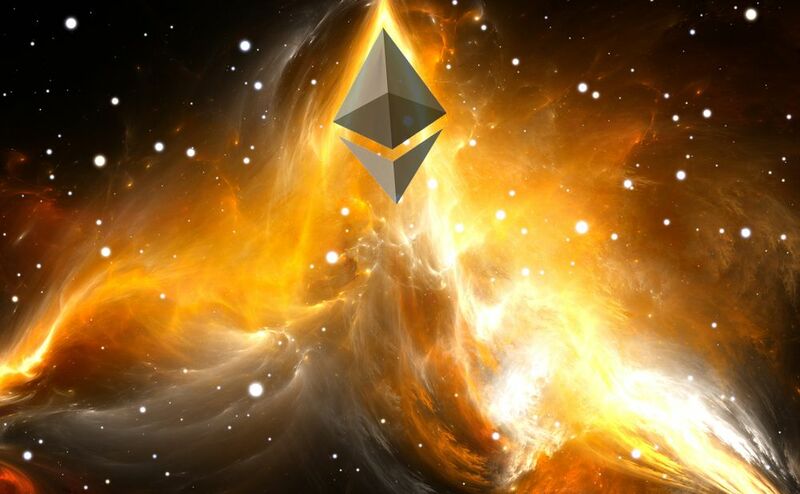 One such analyst has predicted that Ethereum will be valued at $2,500 by the end of the year and further increase in 2019 and 2020. The analyst is no other than Nigel Green, founder and CEO of deVere Group. His prediction would bring the market cap of Ethereum to $247.9 Billion. Assuming the growth of Ethereum would be proportional to the total market capitalization of the Crypto-markets, this would mean the total market cap would be at around $1.562 Trillion by the end of the year. This would be amazing. The added volume would signify that cryptocurrencies would have attracted more investors by then and been accepted into the mainstream . But what would it take for Ethereum to dethrone Bitcoin? Firstly, it would take a massive price surge of Ethereum that would beat that of Bitcoin in the markets. The volume of ETH would then have to be sustained. For this to happen, Ethereum would have to create more ‘buzz’ and excitement than Bitcoin. This buzz would then attract investors and buyers in the droves. Secondly, Ethereum would have to ward off the completion in terms of other projects that are in the industry of smart contracts and offering platforms for ICOs and tokens. At the moment, the only visible threat for Ethereum is Tron, EOS, Stellar and Zilliqa. But all these projects are yet to release the final versions of their platforms save for Stellar. Therefore Ethereum is still eons ahead in this aspect. In conclusion, Ethereum is still a solid coin to have in your portfolio. It will take a lot for it to dethrone Bitcoin but this feat might be achievable with some solid P.R on the part of the Ethereum foundation.